Prototype: Gondola with lighting as a lava car for the theme "Jim Button and Luke the Engineer Driver". Model: The gondola comes in a great paint and lettering design for the theme "Jim Button and Lukas the Locomotive Engineer". 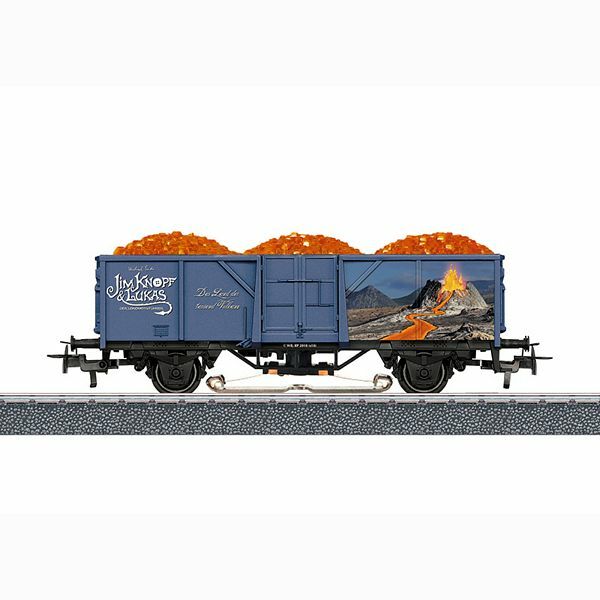 The freight car from the "Land of the Thousand Volcanoes" has glowing lava as a simulated luminous car load. The car has Relex couplers. Length over the buffers 11.5 cm / 4-1/2".